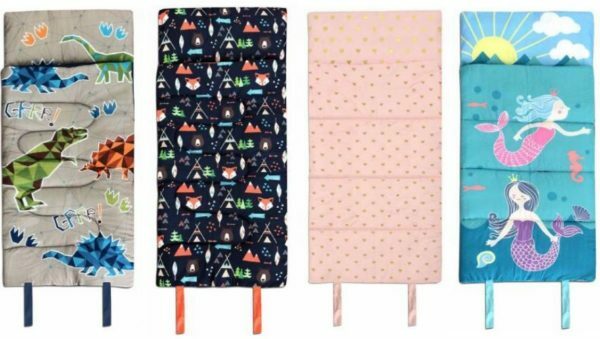 Academy: Heritage Kids Sleeping Bags only $11.99! February 2, 2019 by Laurie 2 Comments This post may contain affiliate links, which means if you click on a link and purchase something, I may earn a small commission (at no additional cost to you.) See my disclosure policy HERE. Heritage Kids Sleeping Bags ONLY $11.99! Check out this hot deal at Academy on these Heritage Kids Sleeping Bags for only $11.99 (Reg $19.99) + get FREE Shipping on any order over $25! Choose from Mermaid, Hearts, Dinosaurs and Woodland Creatures – or other styles for a little more. These would be perfect for Spring sleepovers or backyard campouts! It won’t let me open any of your links, bit it used to. What store are the sleeping bags from?